Homer is the award-winning early learning brand brought to families and schools by Begin, the learning company dedicated to building scalable solutions to the literacy crisis. 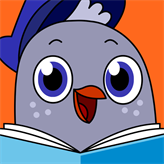 Homer fulfills the Begin corporate mission by developing content that motivates children ages 2 to 8 to learn to read, teaches them the skills they need to become strong readers, and offers learning experiences tailored to subjects that excite them. Everything we do at Homer is grounded in our belief that children who explore their interests and passions through reading will become strong, motivated, confident readers ready to take on the world. We meet children where they are on their learning journey and grow with them, supporting children and their parents along the way. Our current product offerings include the Homer #1 Learn to Read Program, which offers families and teachers an end-to-end digital literacy curriculum that was proven through research to increase early reading scores by 74%, and Speakaboos, the highly engaging reading motivation platform that boasts more than 300 interactive titles for young children. Homer and Speakaboos will integrate their content offerings into one subscription service in late 2017 to more fully serve children at every age and stage of learning. Homer also serves families around the world who look to the brand as a trusted English language learning resource. Founded in 2008 as “Speakaboos,” Begin acquired HomerLearning in 2016. With offices in New York City and in Nashville, TN, we provide professional opportunities for creative, passionate people who are committed to igniting a love of reading in young children and using technology, powerful teaching, and beautiful design to engage their creativity and interests. Want to get notified about new jobs at Homer ?